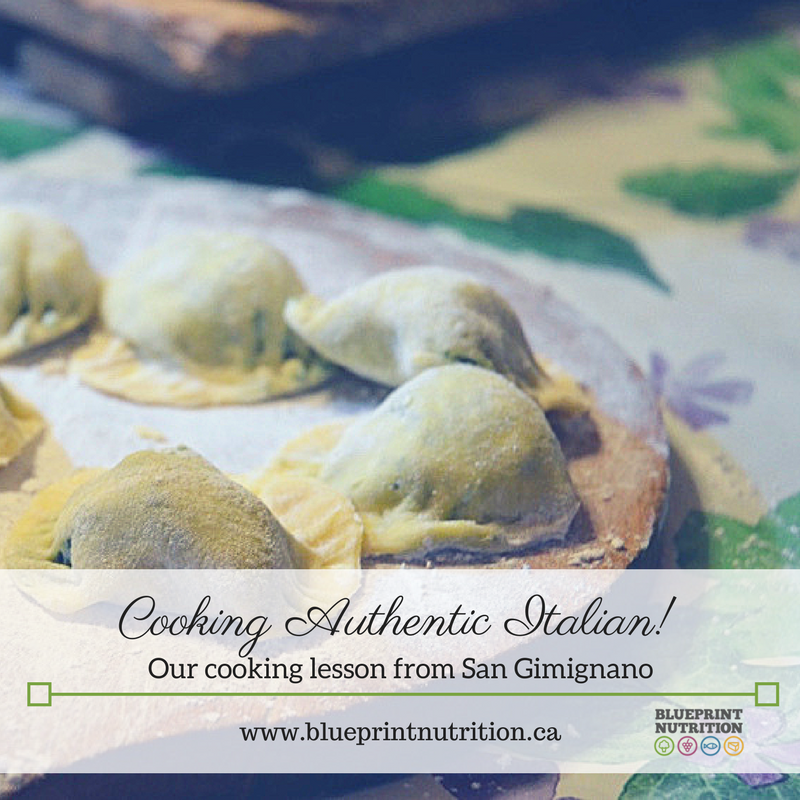 A big shout out to my better half who narrates our unforgettable private Italian cooking lesson from our trip to Italy this past May. This post is a deviation from my regular blogs ... one that I hope you will enjoy! 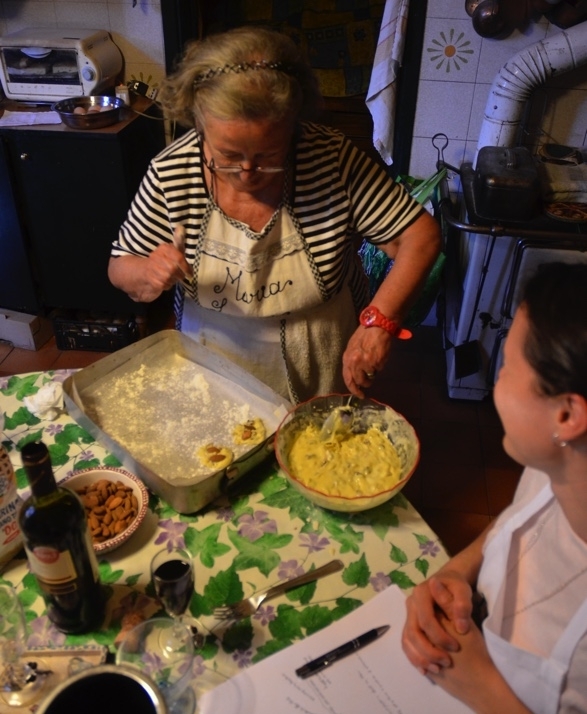 So when it came time to planning a once in a lifetime trip to Italy, we were determined to participate in a cooking class of some kind while we were there. We communicated this desire with our travel agent who marvellously pulled together an absolutely amazing and intimate experience that exceeded our wildest dreams. Our ‘cooking class’ came during the middle of our two week trip to Italy while we were staying at Agritourismo Poggicolle on the outskirts of San Gimignano in Tuscany. The rolling hills of Tuscany, blanketed with olive groves and sprawling vineyards became our home for four days. Our host at the Agritourismo was Stefano, and his parents, Eddo and Maria Luisa were to be our cooking instructors for our evening. Eddo and Maria Luisa live within the city walls of San Gimignano, and their home, nestled within the oldest sections of the walled fortifications surrounding the city, overlooks the UNESCO world heritage site of the town square – quite simply, a stunning and amazing backdrop to our evening together. The history of San Gimignano dates back to the 5th century, and earlier, which, quite frankly, is just impossible to comprehend. The main square in San Gimignano. 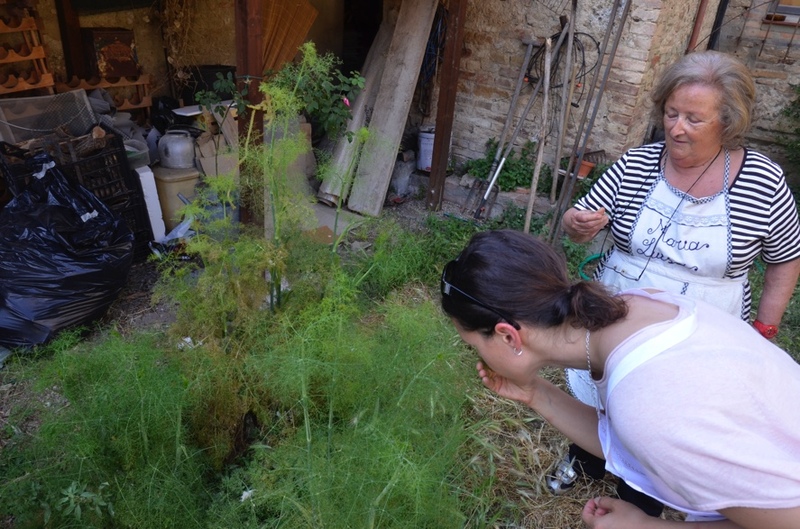 We were welcomed like family and immediately invited into their home, with Eddo proudly showing us the view over the square and their rooftop garden which included tomatoes, basil, rosemary and a Japanese medlar tree! Back in the kitchen, Eddo popped open a bottle of sparkling wine while Maria Luisa prepared the ingredients for our cooking evening together. In the background, the TV in the corner broadcast the final day of the Giro d’Italia cycling race, which provided an opportunity to learn more about the Italian love and passion for road cycling! The first dish of the evening was prepared as an appetizer that we could enjoy as we were preparing the remainder of the food. Maria Luisa called it a type of bruschetta, although it was unlike bruschetta that we North Americans are used to eating. The dish began with a finely diced onion and two cloves of garlic, sautéed with plenty of olive oil. Next we added some stewed tomotoes and a chopped hot chili pepper, along with more olive oil and let all of the ingredients simmer on the stove for a few minutes. The consistency was like a chunky tomato sauce, and when scooped onto a slice of baguette, it was delicious! As we continued to enjoy our sparkling wine and bruschetta, we moved onto the next dish to prepare which was a roasting pan full of meat! Eddo and Maria Luisa were pulling out all the stops and treating us to some really authentic Tuscan meats – wild boar, turkey and pork. The turkey was stuffed with a mixture of fresh herbs from their rooftop garden. All the meats were rubbed with olive oil and salt, and to top it off, we chopped some fresh sage and added it to the top of all of the meats. These were then promptly put into the oven for the next two hours. 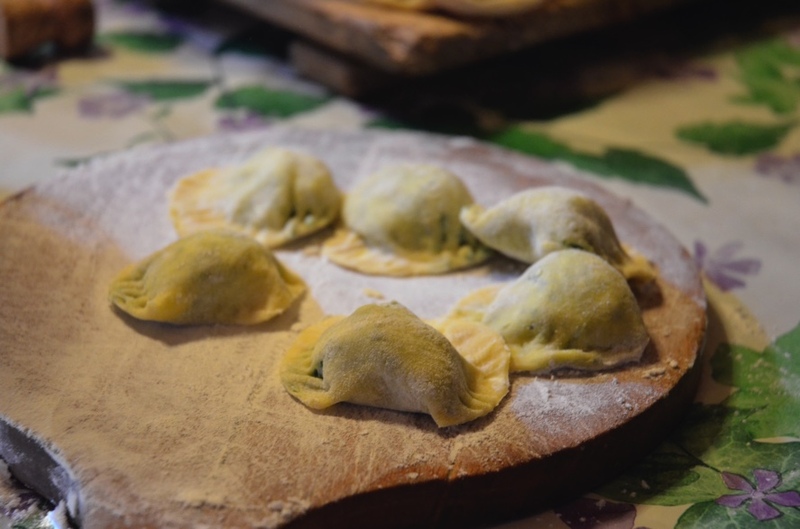 As the meat was cooking in the oven, we moved onto the next dish which was the idyllic Italian dish we had hoped to be preparing – ravioli! The pasta began as unbleached flour in a mixing bowl into which Maria Luisa cracked farm fresh eggs. The eggs were lightly beaten and then folded into the flour. Once mixed together, the flour and egg mixture sat on the counter as we prepared the riccotta mixture which was simply riccotta cheese and fresh chopped sage. These ingredients were mixed in a large bowl and set aside as we returned to start turning our ball of flour and egg into beautiful ravioli pasta! We quickly learned that the key to making ravioli was a pasta press, which essentially rolled balls of pasta into long flat strips. Each strip of pasta was run through the press a number of times, with the thickness of the pasta being reduced each time we put it through the press. After what seemed like a number of repetitive turns sending the pasta through the press, the pasta pastry was finally ready to be turned into ravioli. This was done by dropping a dollop of riccotta mixture onto the pasta (several in a row), then folding over the pasta pastry to cover the ricotta mixture. We then used a water glass to cut out each ravioli and then used a fork to fuse together the edges of the pasta. Edo had a pot of boiling water prepared where we dropped the ravioli for a few minutes until they floated, at which point we knew they were done cooking. We pulled them out of the water and placed them into a shallow baking dish, and added the sauce. (Pictured below is the tomato sauce but we also made a creamy white sauce too)! The ravioli were placed in the oven and we then moved onto prepping dessert! Dessert was to be a delicious almond and currant cookie that was quickly whipped together by Maria Luisa and Rosanne. For this one, I personally chose to stand aside; it was one of those moments that meant more to me to watch than to play a role. Rosanne was totally in her element, even if our hosts spoke very broken English. She had a natural and beautiful way of communicating with Maria Luisa where food was the medium. It really is true that food brings people together! With the cookies in the oven, dinner was finely ready. By this time, Stefano and an American friend of his had arrived to join us for dinner, which livened the evening with laughter and conversation. Bottles of wine, produced with grapes from Stefano’s farm (Poggiacolle, where we were staying) were opened to accompany our dinner. To be honest, it was quite an intimidating experience to drink wine with the grower and producer of that same wine; it was quite evident that Stefano knew his wine and I felt like he could have pin pointed the specific row of vines from his vineyards that would have produced this particular bottle of wine. At one point, Stefano made a comment about the wine being a little corked – which has always meant little or nothing to us! We ate, enjoyed and laughed an awful lot that evening. 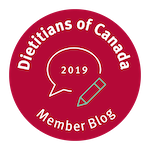 Our experience left us full, both physically (stuffed to the brim) and with a sense of how beautifully food can unite us - irrespective of location, language, gender, age or ability. Food is a universal language and the Italians do it exceptionally well!